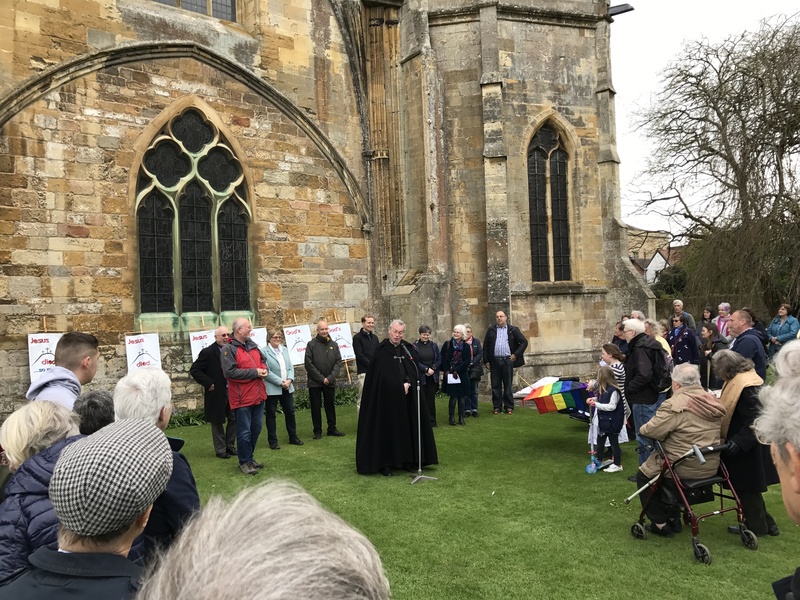 We have our usual Good Friday Walk of Witness ending with a short open-air service in the Abbey Grounds followed by Hot Cross Buns. It leaves Station Road at 10.45am - join us there or en route. All the Churches that are members of TCT have one common purpose to serve God, share the good news of Jesus Christ and work for the good of the community. 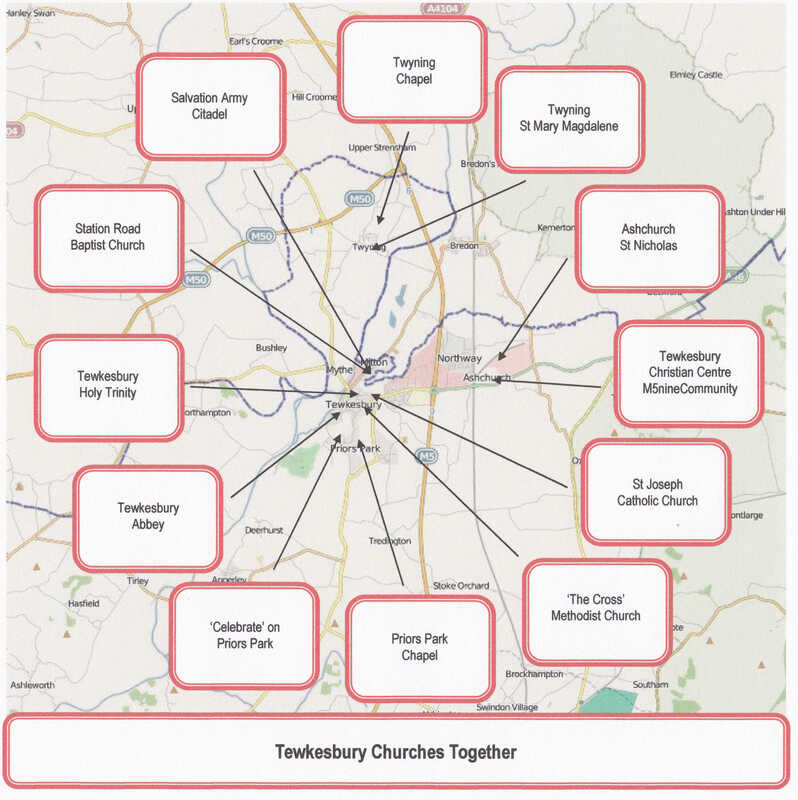 The churches listed below are all commited to deepening their fellowship and co-ordinating the work they do and jointly working together. We have a wide variety of reflective services for Christmas and Easter celebrations plus a walk of witness on Good Friday morning. 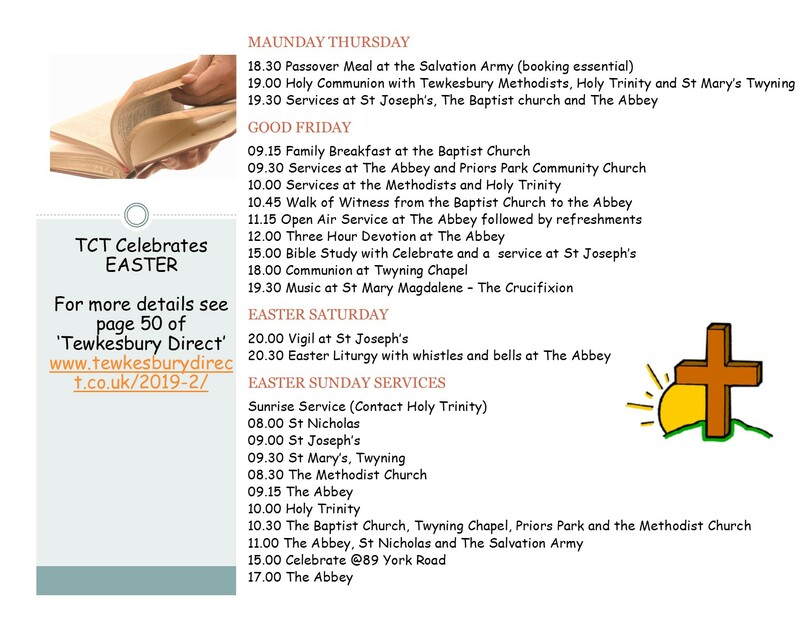 Good Friday Walk of Witness (10am from the Baptist Church/Salvation Army to the Abbey). Easter Competitions within and class Advent calendars in Primary Schools. Tewkesbury Refugee Support Group (*link below). Christmas Lights Switch-on and Family Fun activities. In addition, the churches cooperate over outreach in all the schools within the town.